Easily removed from delicate surfaces such as wall paper stencils. 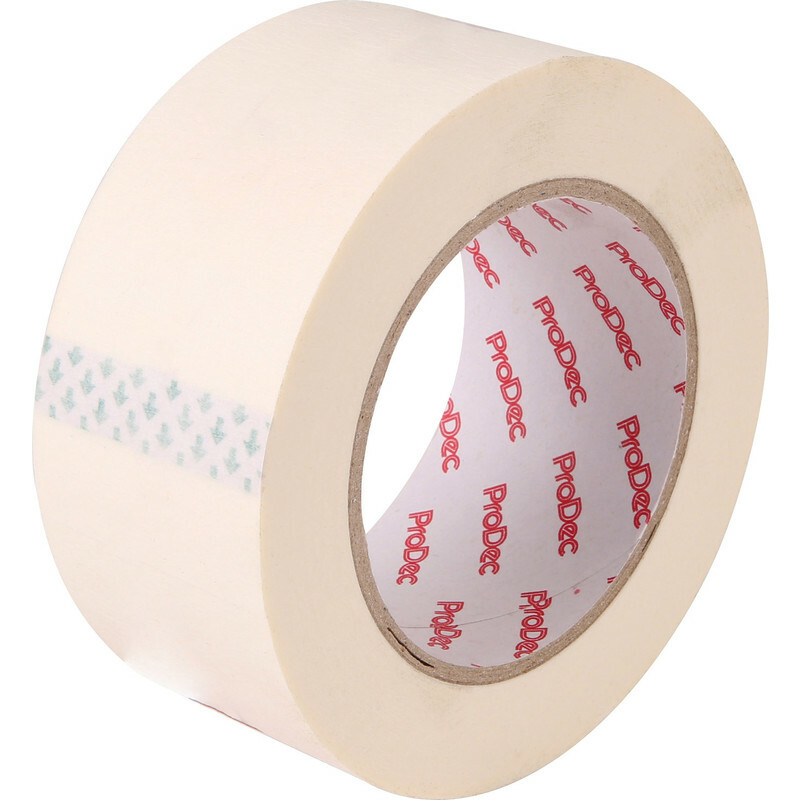 Prodec Low Tack Masking Tape 38mm x 50m is rated 3.9 out of 5 by 36. Rated 1 out of 5 by Reinout from This is not low tack + tape itself rips apart Product sticks extremely hard to surface, and when trying to remove it didn't stay in 1 piece. It destroyed my painted over silicone border. Result: prepared survice (silicone + paint) had to be redone (remove silicone, used frogtape, put new silicone, paint again and ripping tape off when still wet). With frogtape: perfect finish. This product is nowhere nere the quality of frogtape. I won't be making this mistake again, trying to save a few pounds, to eventually have to start over again. Rated 5 out of 5 by Mazz from A+ Good masking tape does the job. Rated 4 out of 5 by JohnH52 from Works well Reliable and useful. Works as it should. Rated 1 out of 5 by Perry66 from Awful, simply awful Product is adequate but the service is absolutely awful and I will not use Toolstation again. Rated 1 out of 5 by Bigalfaethetoon from RUBBISH Absolute rubbish. Never low tack.